Early Offers Encouraged for this Popular Eatery in the Heart of Seven Mile Entertainment District , walking distance to the Ritz Carlton. 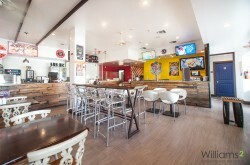 Currently set up as an Authentic Pan Asian Cuisine Food Court with 7 different food stations including 3 Franchise Opportunities Rolled Ice Cream & Crepe, Evelyn's Bubble Tea, and Island Poke, all with the addition of Kuboh , a full serviced licensed bar and lounge.. Great Opportunity to own a restaurant on the strip !! Larger Unit includes a small kitchenette. 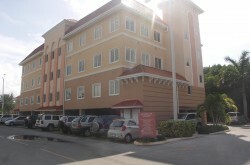 The Solution Centre building is located in the capital of George Town near the harbour, hospital, airport, schools, restaurants and shops. 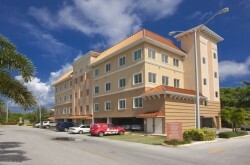 The building has hurricane rated windows and doors, an elevator, security cameras, parking, and signage on towers and windows are allowed. Total of of six units. Three units on the ground floor and three units on the second floor. Each unit is fitted out with ceramic tiles, drop ceiling, wired for cable, computer, and phones and has a bathroom. 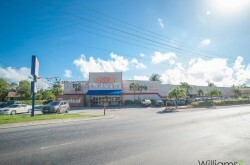 The units are all occupied with professional businesses and retail shops. 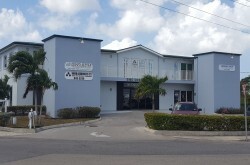 On the corner of Smith Road and Huldah Avenue, this commercial property has main road frontage and high visibility. 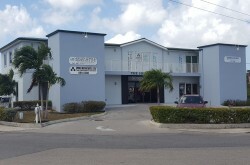 With a zoning of Neighborhood Commercial, this property is a fantastic investment opportunity!